"The Thing On The Shelf," by David Gerrold [bio] (edited by C.C. 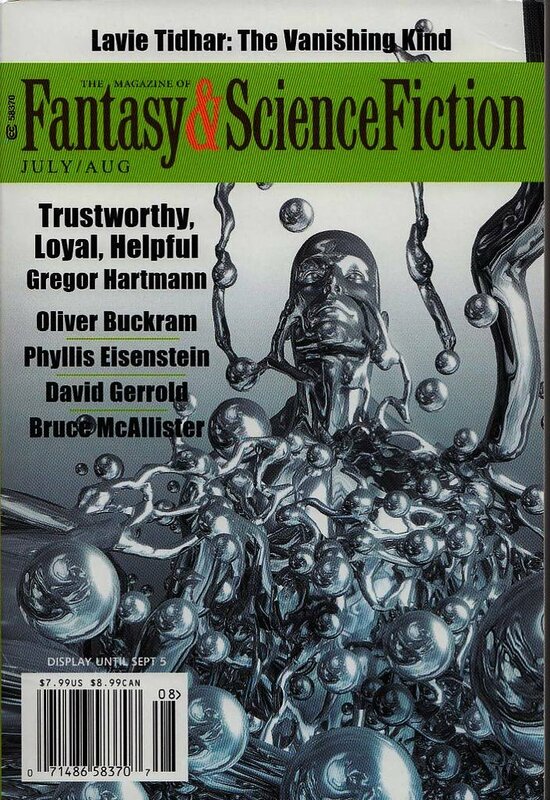 Finlay), appeared in Magazine of Fantasy & Science Fiction issue 07-08|16, published on July 5, 2016 by Spilogale Inc. Pro: The writing is great, the digressions are interesting, and it's one great laugh after another. Con: The story ends like a bad ghost story: "So he agreed never to tell, and as a result we don't know to this day." Arrrgggh, I hated this one :-/ Sorry, Mr. Gerrold. This is very much in the same vein as Gerrold's "Entanglements" - endless memoir-style digressions and diversions, hung very, very loosely around an exceedingly simple SF/F conceit. The conceit, or plot, can't possibly hold together a story with a wordcount of 15K; the value is meant to be in the fannish, clique-ish, industry-insider digressions. And I guess either those work for you, or they don't. They might have worked better for me in a shorter piece, or one making less pretense of telling an actual story. But two pages to explain that when you saying "bad luck trails behind this guy like a trailing feather boa" you mean "a really really REALLY long feather boa," and then another going "here's some random bad luck I had that wasn't related to this guy in any way, but was at about the same time as I met him" - well. It's not my thing. Not for so many pages. And certainly not if you're going to try and pull an "actually every digression was secretly extremely significant" stunt at the end. Nu-uh. If you want the reader to be able to have faith in significance, even just for the moment, as a story device - then you need to earn it. I've really enjoyed a ton of Gerrold's stories, I'm glad he's been recurring so strongly in F&SF, and I'm looking forward to his special issue in September. But I hope he won't keep doing this particular type of story again and again and again. 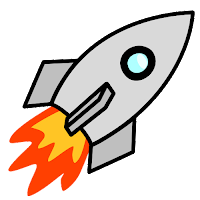 Back in 2005, Gerrold wrote two fantastic little pieces for F&SF, entitled "A Quantum Bit Exists In Two States Simultaneously: On", and "A Quantum Bit Exists In Two States Simultaneously: Off." They're in quite a similar style to "Entanglements" and "The Thing on the Shelf," memoir-style with an SF element, and featuring Pesky Dan Goodman. But those were short, much more focused; meandering and insider-ness were part of the tone, but it wasn't all there was to the story, and it cohered. So I don't want to reject the style entirely. But I'd certainly like to see it used less aimlessly. The digressions are the point of the story. They're what make it fun. It helps that Gerrold does them very well, of course. Since my rating system is strongly plot-based, I can't ever give a story like this more than three stars, but I've got a policy of never giving fewer than three stars to any story that's actually entertaining.